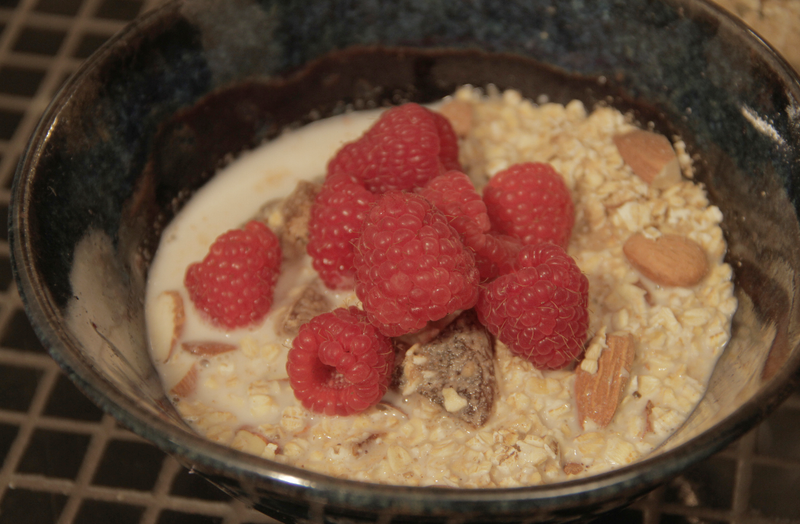 Watch the video below for how to make a flavoursome raw version of a breakfast favourite, Banana Oat Porridge. Put your oats in a bowl and add to it your the banana powder, cinnamon, cardamon, ginger and nutmeg. Stir all of these together. Roughly chop up your almonds and apricots and add these to your bowl also. Stir all of these together to complete the dish. Take as much as you wish to eat and put into a bowl. Put the rest in a sealed tight container ready to eat whenever you fancy! 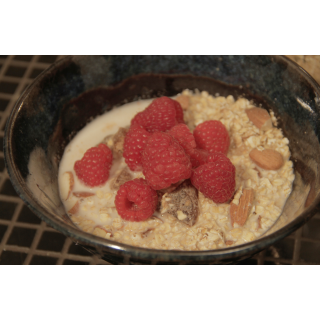 Pour into your bowl a nice cool glug of Raw Almond Milk and top the dish with some fresh raspberries and whole almonds.